A versatile Musical Band/Orchestra well versed in performing English, Bollywood, Classical and Folk Fusion. Equipped with fabulous singers and musicians. 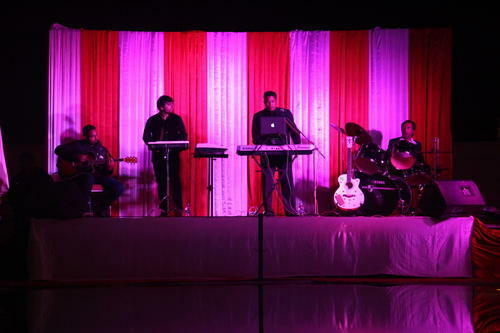 We can make your party a grand success with our melodious renditions. A leading rock, pop live band of Rajasthan. A versatile band well versed in all genres of music. Performing Hindi, English, Punjabi and Rajasthani music with live DJ we make the crowd dance, rock, jump, jive and mesmerized for ever and making the event memorable and a grand success.